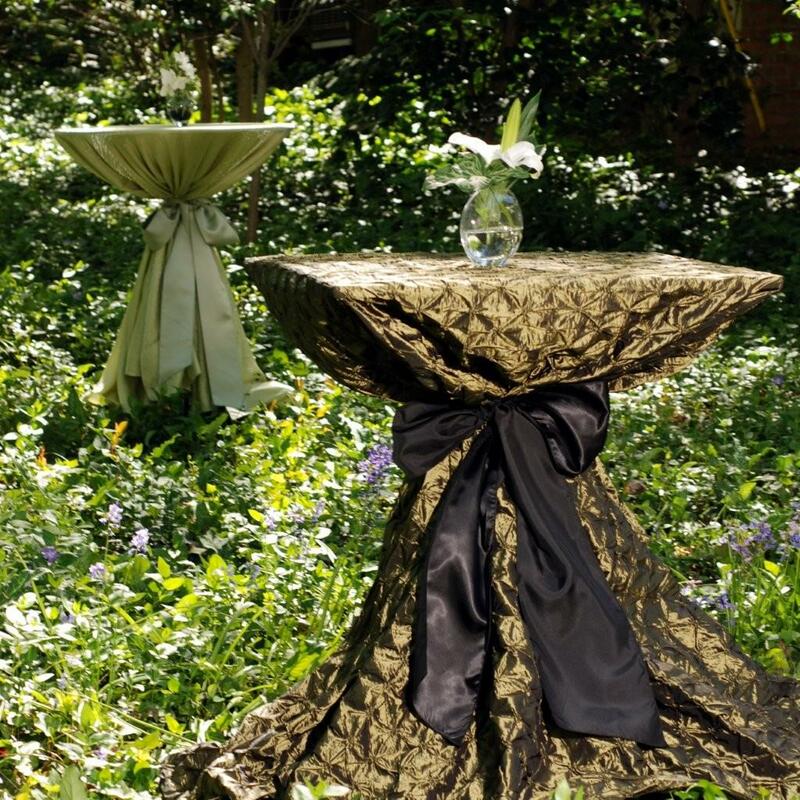 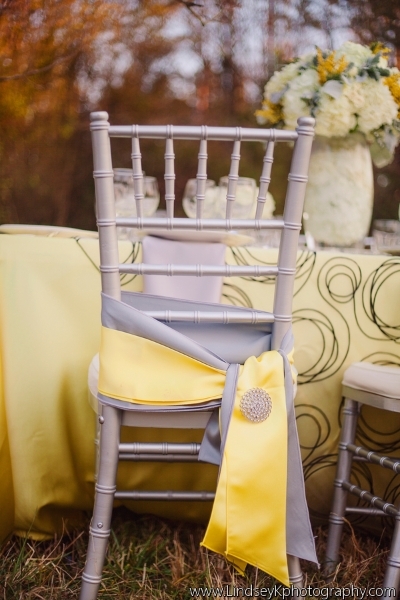 Don’t forget to dress up your chairs for your event! 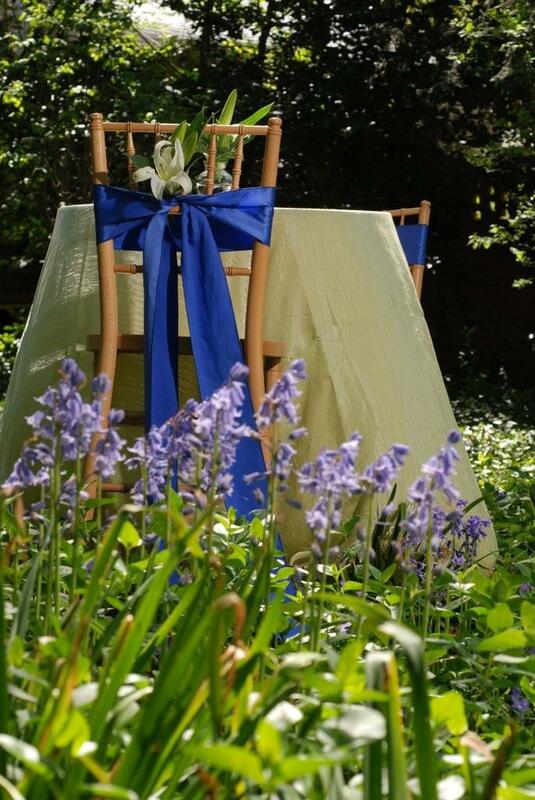 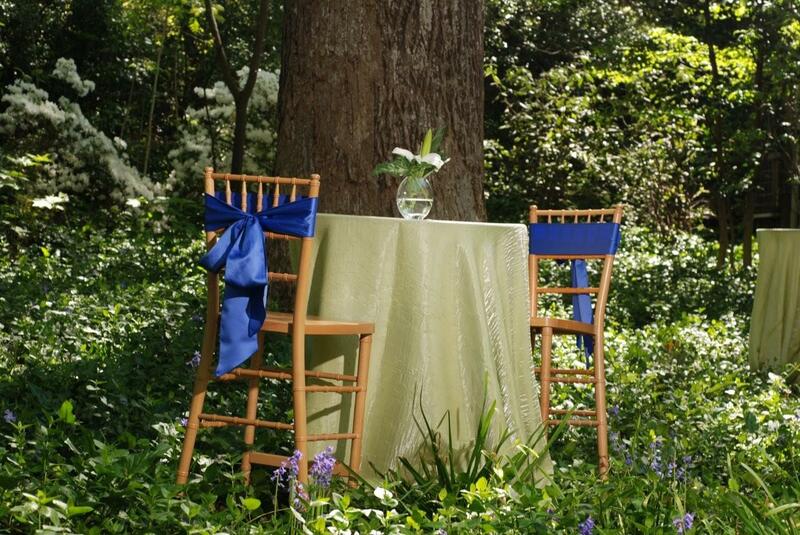 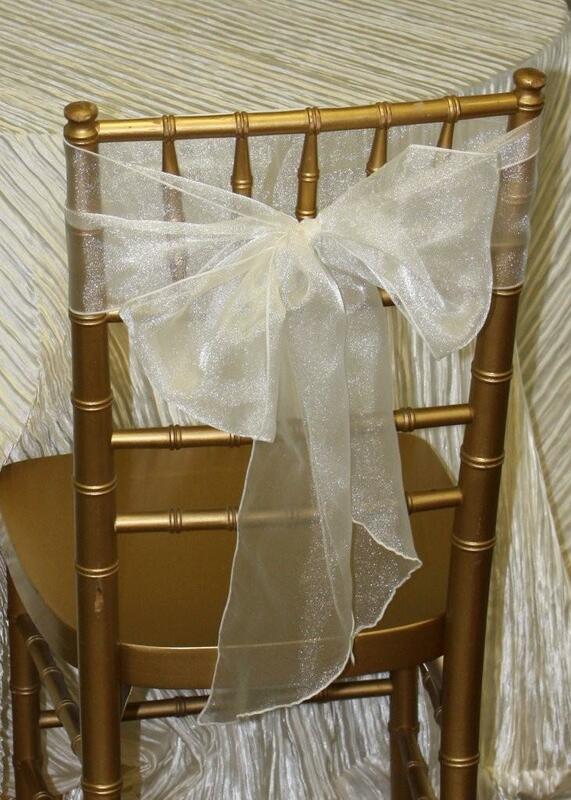 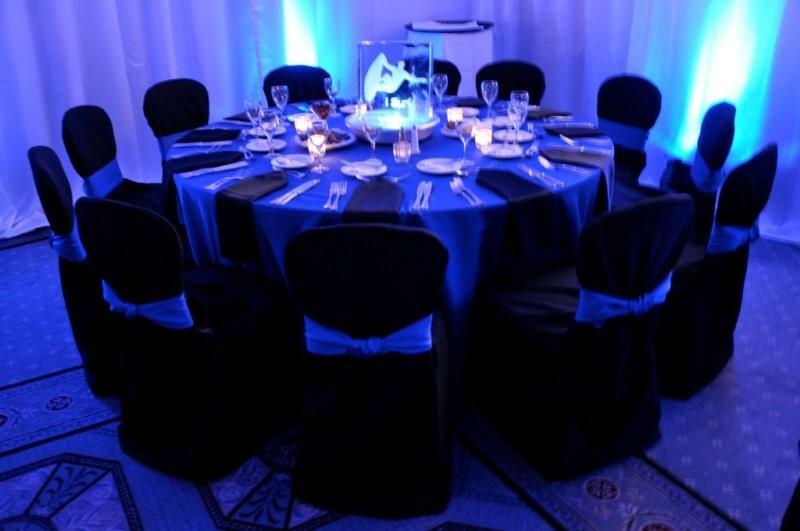 With our elegant chair covers and beautiful sashes, your guests will be seated in style. 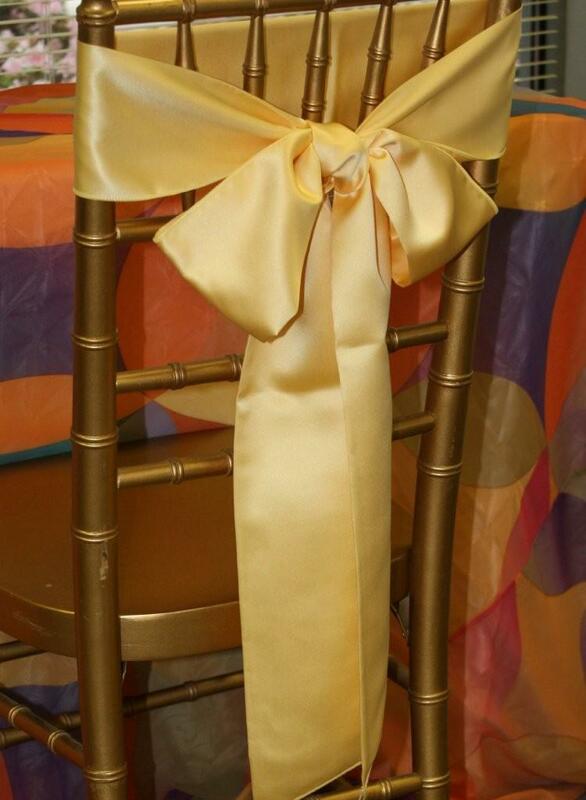 We offer four different size covers which accommodate banquet chairs as well as folding chairs. 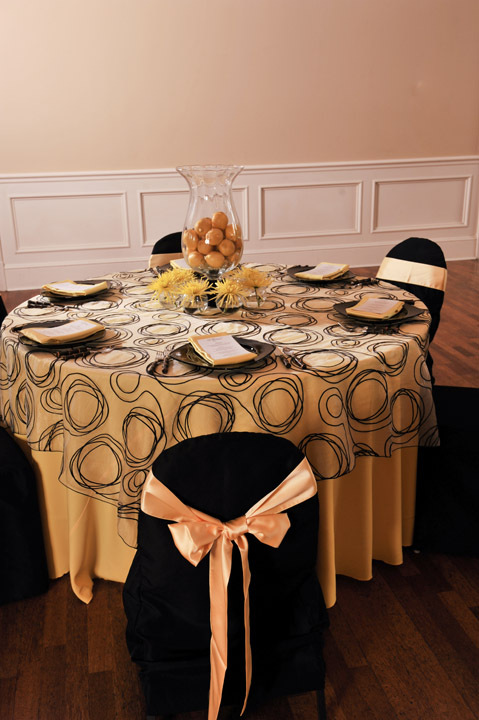 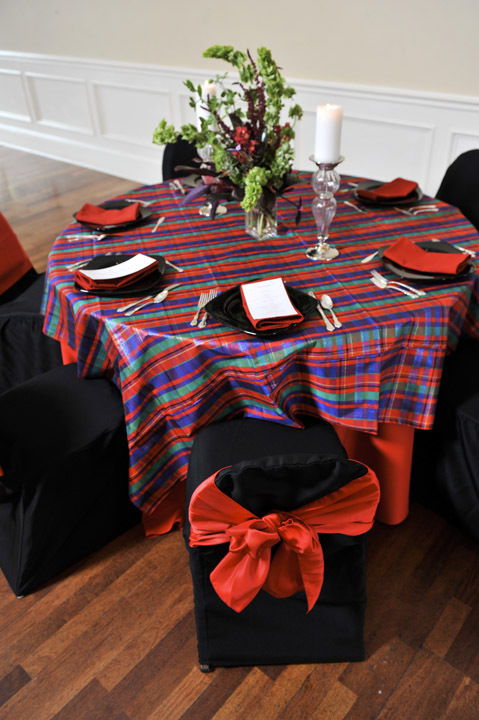 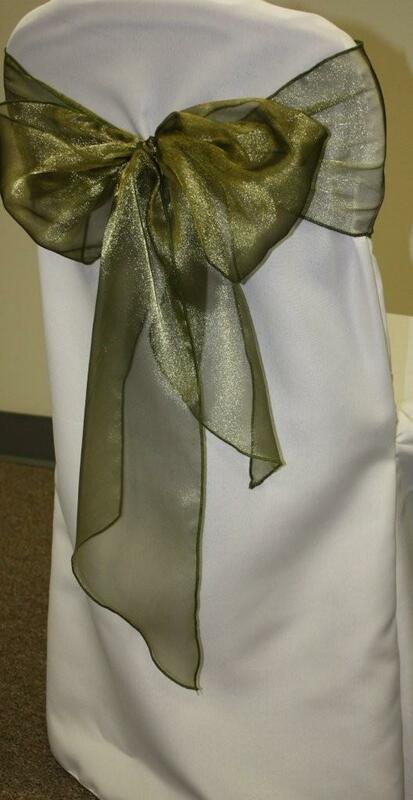 Chair sashes come in a variety of colors and fabrics. 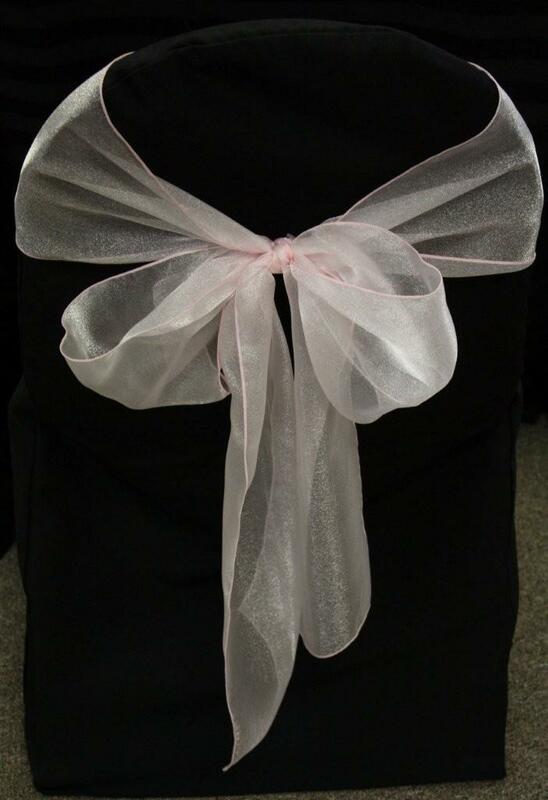 Sashes can also be used to tie on cocktail tables for a unique look.